In addition to showing off upcoming video games, this week’s Tokyo Game Show is playing host to a number of fighting game tournaments. The first, Wednesday evening’s Rookie’s Caravan 2018, was capped off by a rookie’s emotional reaction to beating one of the community’s most accomplished competitors. Rookie’s Caravan is a new initiative by Street Fighter V developer Capcom to highlight local Japanese talent who, while skilled competitively, might not have the same platforms as some of their more popular contemporaries. The main event was preceded by six qualifying tournaments, through which established competitors like Street Fighter III: 3rd Strike legend Jo “MOV” Egami and execution monster Sako Naoto each chose two rookies to team up with them at Tokyo Game Show. During his visit to Kusatsu in search of teammates for his Shiga prefecture-based squad, MOV invited 19-year-old Motchan, who placed seventh, to participate in the Rookie’s Caravan tournament alongside himself and Kusatsu champion Kensuke “Trashbox” Ishikawa. Motchan’s selection emphasized an important facet of the qualification process: players didn’t need to win or even place second at their respective events to be chosen for Tokyo Game Show, only to impress the visiting competitor. 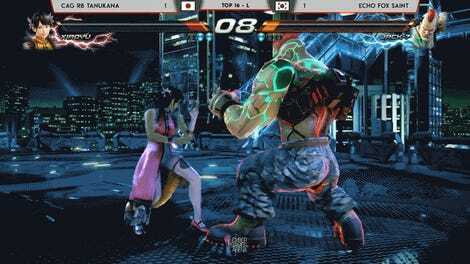 Motchan may not be as well-known as MOV and the five other competitors in charge of picking teams, but he has still proven himself to be a strong competitor since the release of Street Fighter V. He recently placed 65th at the talent-dense Evo Japan earlier this year and, as of August 2018, he holds a Grand Master rank in online play with F.A.N.G., who most players consider to be one of the game’s weakest characters. Rookie’s Caravan would certainly be Motchan’s most high-profile performance to date, but MOV must have seen something in the young player. In the deciding game of his team’s first match, Motchan had to face Ryo “Dogura” Nozaki, a longtime competitor who not only plays Street Fighter V at a high level, but also Dragon Ball FighterZ, Guilty Gear, and BlazBlue. He’s been a constant fixture in fighting game competition for over a decade, and that experience helps him excel in just about every tournament he enters. 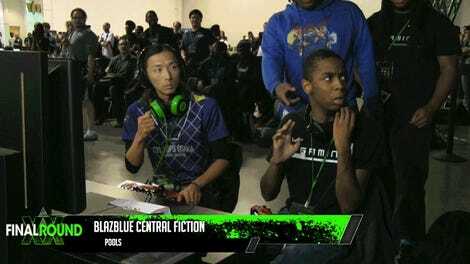 On paper, this was a no-brainer: Dogura, with his wealth of knowledge, squaring off against Motchan, the up-and-comer playing as F.A.N.G., of all characters? Might as well tally one up for the veteran. But that’s not how it happened. Motchan started the match strong, poisoning Dogura’s Urien and hitting him with a tricky side-switch combo to start off the first round. As the commentators marveled at his quick start, Motchan continued to pressure his opponent, dealing consistent damage with attack strings, but also with F.A.N.G.’s ubiquitous poison, the effects of which would only dissipate if Dogura had been able to land any return attacks. He couldn’t, though. Just nine seconds into the match, Dogura found himself with only half his health remaining and the hungry rookie still in his face. Motchan closed out the fight with two straight throws, stunning Dogura and making him easy prey for one final strike. Although it was only one round, Motchan beamed on camera before returning his focus to the task at hand. With his teammates looking on, Dogura began the second round by landing a bit of offense, but soon, Motchan regained total control again. By locking down Urien with F.A.N.G.’s strange, arcing fireballs, Motchan was able to dictate the pace of the match. Urien’s most valuable assets, the moving plasma walls that make up most of his offense, were never a factor. In one last-ditch effort, Dogura launched a flying headbutt at Motchan, which the young player blocked and punished for the win. 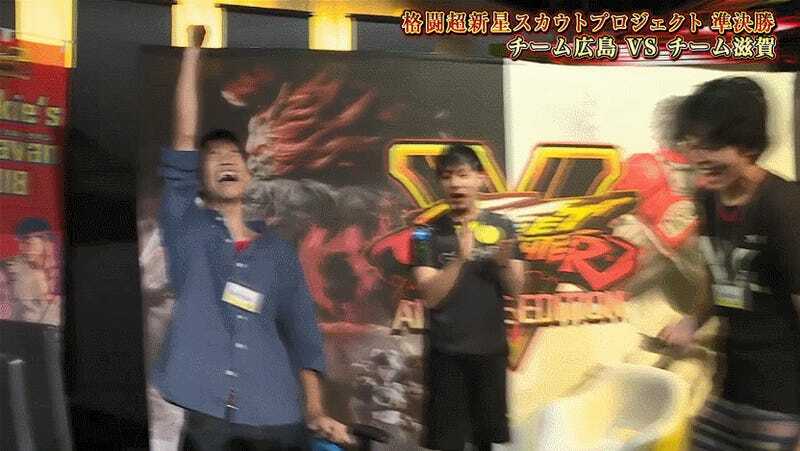 As soon as he realized he had won, Motchan exploded from his chair and threw his hands skyward, high-fiving MOV and then breaking into tears. Motchan’s emotional reaction was a testament to just how much the victory meant to him. He had come to this event labeled as a rookie, but he managed to defeat a legendary opponent on a much bigger stage than he was accustomed to. Perhaps remembering that there were cameras on him, Motchan managed to flash a huge smile through his tears and throw up a peace sign. The fighting game community’s expansion from local events and arcade hangouts has also resulted in a more rigidly defined hierarchy. While it’s still hard to make competing in Street Fighter V a career for many players, those that have found sponsors or teams willing to support them eat up much of the spotlight due to greater travel opportunities. But every tournament brings with it at least one surprise match, an upset that shows there are “rookies” out there who have what it takes to compete alongside “pros.” It’s in these moments that the fighting game community’s ethos, “everyone plays everyone,” feels the most true.